Our Physio Plus clinic, based in central Edinburgh, allows you to easily access a physiotherapist when you need us most. Our Physiotherapists are experts in getting to the route of the problem quickly and finding a solution that works for you. Our goal is to allow you to live life to your full potential, and make pain and injury a thing of the past. Our physiotherapists are HCPC registered and are recognised by many health insurers. How can we help you? Whether your injury has only recently happened, been a problem for a while, or developed over time Physiotherapy can make a huge difference. You will receive an in-depth assessment in your first session, looking at your posture, biomechanics, strength and stability. Your physiotherapist will also feel your tissues to help come to a diagnosis of where the problem is stemming from. We will then discuss our findings and come up with a plan of treatment. You will always be made to feel relaxed and comfortable during each session with us. Don’t wait until you have an injury before you come to see us! If you have something new that you plan to embrace, or a new challenge you are looking to take on, we can help you to stay injury free. We can set you an individualised programme which will address those things that might hold you back. Our expert team of specialists can help you with issues arising during pregnancy, birth and beyond. We can help you with the aches and pain which arise during pregnancy to allow you to enjoy that time of your life. We can help you get back to full fitness after having a little one by guiding you with your exercises choices. We can also help with bladder and pelvic floor complaints at any time in your life. If you would prefer to call before making an appointment, we are always happy to help. Do you have a niggling pain that is getting in the way of your training? Its likely that Physiotherapy will settle things down very quickly to let you get back to full training again. Maybe you have sustained an injury through sport, which is preventing you from training or competing? Our team has the expertise and knowledge to get you back doing the sport you love as quickly and safely as possible. At Physio Plus we make sure that you will always feel at ease, comfortable and relaxed in our care. We treat you as we would wish to be treated ourselves. We will give you time to explain your specific problem, and will clearly explain all that we are doing as we go. Our aim is that each of our clients leave feeling glad they came, and positive, empowered and excited about their recovery. Our initial assessments last 60 minutes. What to expect from your first session? The first part of your assessment will be a structured discussion about the reason you have come to see us. We will ask questions about your specific problem, general health and your pain. This information helps guide your physiotherapist with what to investigate in the Objective assessment. If you are having a pelvic floor assessment you may benefit from an internal examination. The physiotherapist will then feedback the findings of the assessment and give you a diagnosis. There will be an opportunity to ask questions and discuss the assessment. Unless your condition is extremely complex, we will begin treatment during your first session, so that you begin the journey to recovery. Laura’s Pilates journey started in 2010 and since then she has never looked back! Co-founding Pilates Plus with Tess in 2010 has been a life changing experience. Laura has developed in so many ways on this amazing journey from a tiny start up company to where Pilates Plus Physio stands proudly today. Laura’s belief and complete faith in the profession of physiotherapy, principals of Pilates and her hard working and passionate team has never wavered. She feels proud to be a part of this fabulous team, and to be able to influence lives on a daily basis. Laura loves that there are always new things to learn and develop and loves attending courses and trying out new things with her classes. 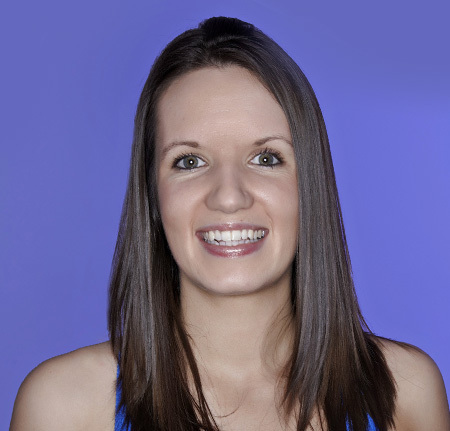 You will find Laura working at the Physio Plus Clinic, where she loves the personal interaction with her clients. Checkout our timetable for the classes Laura teaches regularly. Tess has been really fortunate that Physiotherapy and Pilates has literally taken her across the world and back to the city and people she loves! Tess has been teaching Pilates since 2006 where she was given the opportunity to teach in Singapore. Tess moved back to Edinburgh to pursue her passion of education and completed her Masters in Sports physiotherapy. It was this mutual passion for physio/sport and lots of FUN that brought Laura and Tess together through work and helped established a firm friendship. Laura and Tess set up in 2010 and have never looked back! Tess feels very lucky to have a great, supportive team behind them not to mention the many loyal clients. Tess say’s “I love teaching my classes, treating individuals and keeping the clients guessing, it is great to see progression and the enjoyment people get from the advances they make during the sessions”. Tess and Laura continue to grow the business, year on year. This year saw the Introduction of Barre which Tess loves teaching – it’s fun, exhilarating, exhausting and great for you all rolled into one! She plans to pursue her fitness and wellbeing passion in the next few years by commencing her yoga teacher training, so watch this space. 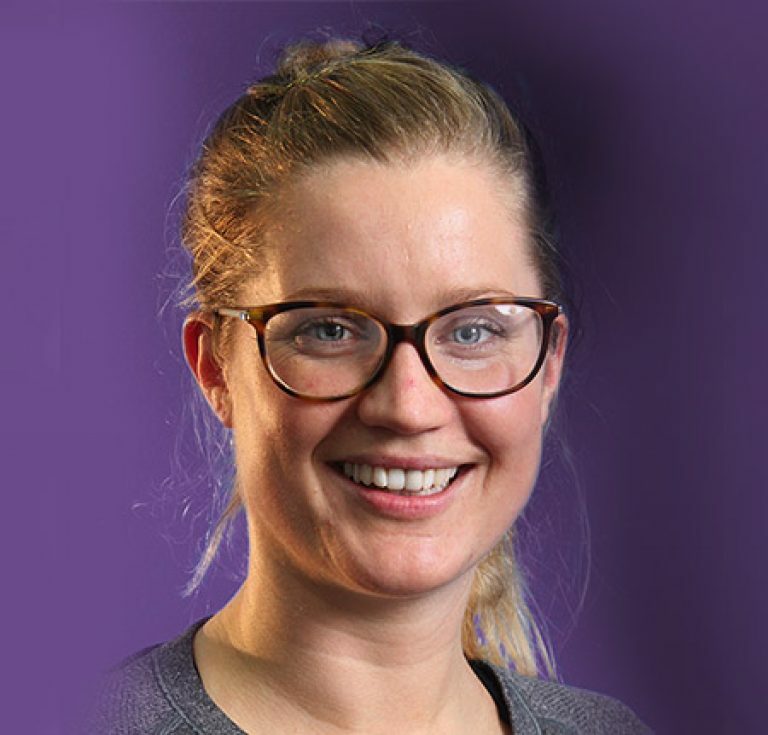 Becca has worked for Pilates Plus Physio since 2012, initially as an instructor and then as a Physio, introducing the Women’s Health service in 2014. As a lapsed rower who did everything only on one side for several years, Becca understands the need to bring balance back into our lives! With experience in treating a wide range of sports injuries as well as chronic conditions including enduring back and neck pain, Becca likes to look at the whole person and offer holistic treatments which fit into your lifestyle and help you get to where you want to be. Becca’s passion is in improving services for perinatal women (before, during and after birth!) as well as helping women around the menopausal years get the best they can for life-long health. 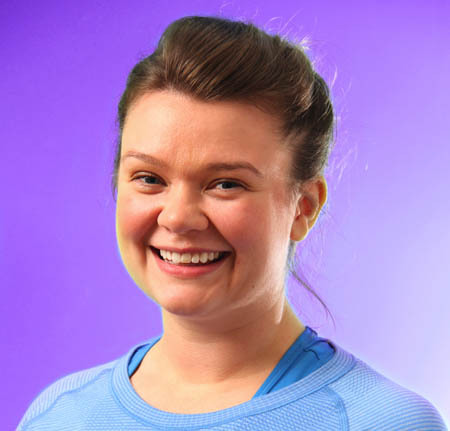 Becca aims to provide the Women’s Health service as an addition to our ante and postnatal classes, but also to support women in any of our classes, helping to boost fitness even when recovering from an issue. Becca takes influences from all aspects of her life and training into her classes. As well as Pilates, you may recognise elements of Yoga, strength and conditioning, Barre and sports rehab. All designed to help you “be the best you can be”! When not working, Becca can be found in Portobello Bay trying out her new obsession, Stand-up paddle boarding, or as it’s now known, fall-in paddleboarding! For Ruth working as a physiotherapist and a Pilates instructor is a perfect combination, applying her knowledge and skill and getting to work with her clients from initial injury to full recovery she finds very rewarding. She enjoys teaching a variety of classes and you’ll find her teaching most of her classes at Marchmont where she is a regular on a Tuesday night. She loves bring a mix of techniques and blends styles of teaching from her extensive self practice and various further training courses. Anna Maria’s journey with Pilates started purely by chance over 8 years ago when she volunteered in a friend’s thesis project. To her advantage this exposed her to a world she fell in love with and continues to practice daily. Eight years on and she can never get enough! Anna Maria believes that there is always something new and exciting to learn through Pilates and with a growing social media community this has enabled the practice to flourish even more. Anna Maria is a strong believer of the effects of exercise, especially Pilates, and how it can help you prevent injuries but also recover from an injury stronger and better! She has experienced the benefits first hand! Anna Maria is currently reading for a doctoral degree at Queen Margaret University and says that her Pilates has helped keep herself going following long hours of sitting down at a desk! Anna Maria enjoys being part of the PilatesPlus team and the community of clients and friends who she loves seeing every single week and she says she couldn’t be happier! 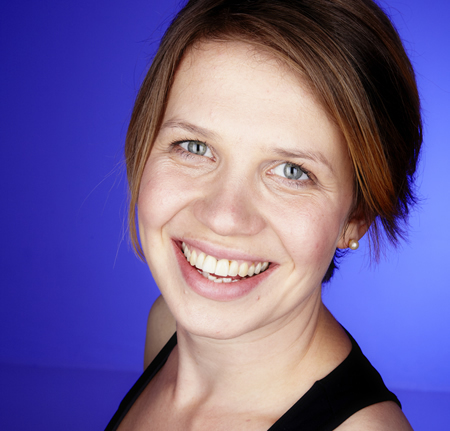 You will find Anna Maria on Mondays at 7.30pm at our all levels Marchmont St. Giles classes and Wednesdays at the Easter Bush Campus, and Swanston beginners class. Sophie has always had an interest in Massage. This stemmed from her time ski racing and the great benefits after a hard training session. She finds the benefits and stress relief for her patients particularly in pregnancy massage very rewarding. Sophie is very active and enjoys a diverse range of adrenaline fuelled activities, particularly skiing, rock climbing and surfing. She is currently trying to fit this around her Physiotherapy Masters, quite the challenge! Sophie is part way through her Pilates qualifications inspired by Pilates Plus and is really looking forward to being a fully qualified physiotherapist. She loves to have the ability to help people and is enjoying expanding her depth of knowledge through the various directions her masters is taking her. 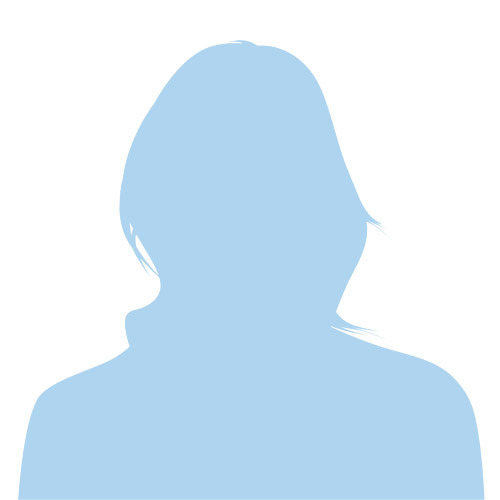 Karina work part time as our admin administrator. 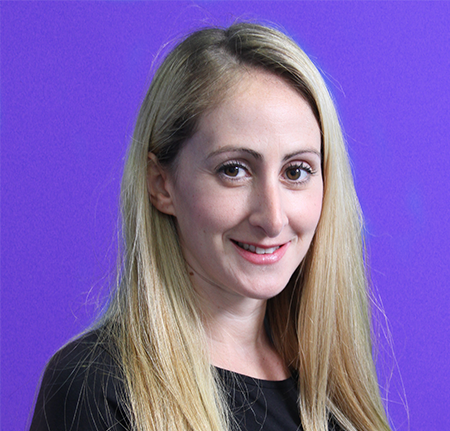 Having worked for 10 years in a customer focused role Karina puts our clients at the centre. She loves making sure they receive the best service. She brings a positive and friendly character to the office, she is bubby and always up for a giggle! Classes are led by qualified physiotherapist this reassuring in that their professional knowledge informs their teaching. All the instructors are lovely (although occasionally hard taskmasters!!) They advise you on modified versions of any exercises that you struggle with if you have any underlying injury problems.